It’s the first morning of minute:72 and we greeted each other at the Starbucks in Sunset Beach. We ordered our coffee and then received our first word – inventing. We initially thought that this was going to be easy – it can be such a conceptual word that can be spun in any direction we please. But after looking at what we had which was just a couple of cups of coffee and the space around us, we decided that we needed to brainstorm a bit and figure out what subjects we would be looking for to complete a concept. When discussing what inventing meant, things immediately turned a corner and got harder than we thought. Inventions are things that are new – solving a problem differently – doing something that hasn’t been done before – looking at something in a new light. What stuck with us most was “doing something that hasn’t been done before”. minute:72 is something that we have never done before. It’s something that’s going to force us to look at things in a new light. And hopefully what we get out of this, is putting ourselves in a situation we wouldn’t have been in otherwise. One where we are forced to create with what we have around us – where we are forced to exercise creative muscles that would otherwise remain untapped at that time. So we decided to just go with it and start walking to find out what was around us. What could we be inspired by that we could look at differently? Hundreds of photos were taken. And as we were shooting, we decided to capture an image that will represent our new invention – one that means more than what it is at face value. 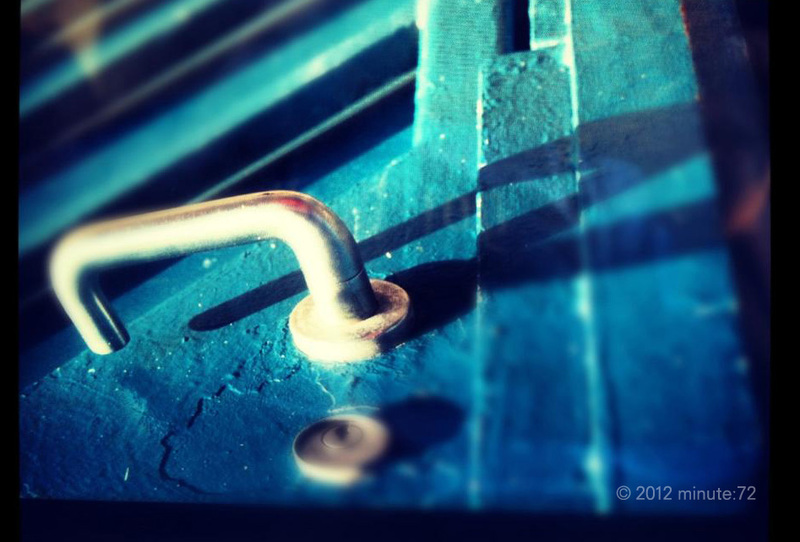 This entry was posted in everyday objects, street photography by -dg. Bookmark the permalink. I can really sense that “invention” from that photo.